Dr Anderson has more than 35 years of experience as a clinician and health service executive. 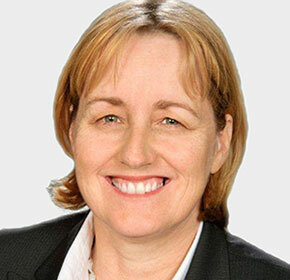 She has a well-established reputation for implementing strategies to foster innovation and best practice, supporting collaboration and building partnerships, to provide excellent healthcare to almost 700,000 people living within Sydney Local Health District and the million people who come into the District each day to work, study and visit. Dr Anderson is a Speech Pathologist, internationally recognised for her specialist knowledge and skills in the research, assessment and management of paediatric and adult dysphagia, early communication development, early childhood development and early intervention. She continues to develop programs and services to support and improve the health and wellbeing of all people in the community. Dr Anderson is a member of 7 Medical Research, Health and PHN boards and is an active member of the Sydney Health Partners Governing Council and Executive Management Group, one of the first four centres in Australia designated by NHMRC as an Advanced Health Research Translation Centre.